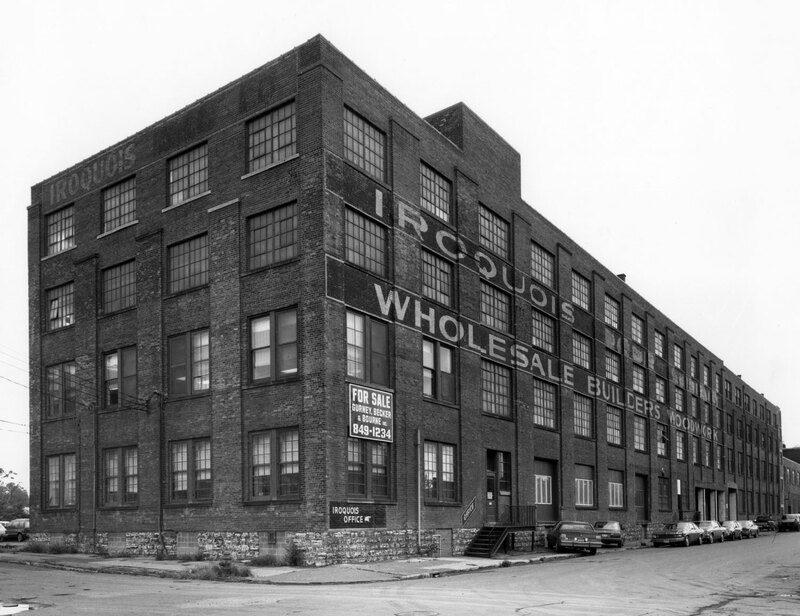 The Iroquois Door Company, 619 Exchange Street, was a wood products manufacturer specializing in windows, doors, millwork, and cabinetry. “Build Your Home Architecturally Correct” was the company’s motto. Its four-story, 99,600-square-foot factory, reportedly designed by Louise Blanchard Bethune and built from 1903 to 1904, was described by architectural historian Reyner Banham as “a model of puritanically stern, rectangular discipline.” The company went out of business in 1989, and the building still stands.